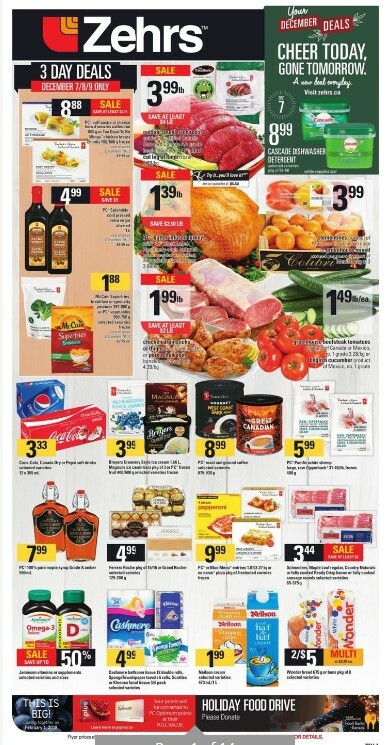 Zehrs Flyer Canada - December 7 - 13, 2017 ,PC Puff Pastry Or Cheese Hors D'Oeuvres Or Too Good To Be Wings Chicken Breast Chunks $8.88 Sale Price $3.11 Savings PC puff pastry or cheese hors d'oeuvres colleciton 800 g. Too good to be wings chicken breast chunks 700 800 g. Frozen. Rest of week December 10-13, $9.99. 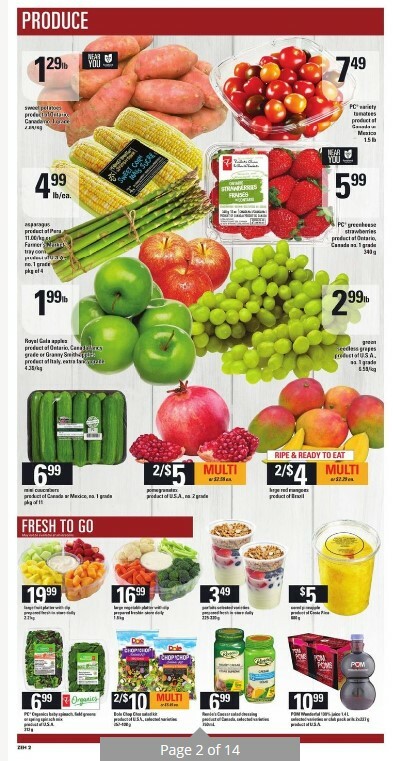 Outsiee Round Oven Roast Or PC Short Cut Leg Of Lamb $3.99 lb Sale Price $4.00 Savings Cut form certified Ontario corn fed Canada AA grade beef or higher. $8.80 kg. Cascade Dishwasher Detergent $8.99 Sale Price Selected varieties. Pkg of 39-60.PC Splendido Cold Pressed Extra Virgin Olive Oil $4.99 Sale Price $5.00 Savings 1 L.
With PC black label nor mandy-style gultured butter regular or stuffed all available sizes, frozen. $3.06 kg. Clementines Or Greenhouse Mixed Sweet Peppers $3.99 Sale Price Clementines product of Morocca or Spain 5 lb case. 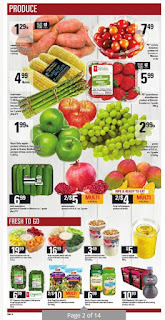 Sale Price Mccain superfries, breakfast and specialty potatoes 397-800 g. PC vegetables 500-750 g. Selected varieties. Frozen. Rest of week December 10-13 $2.99. 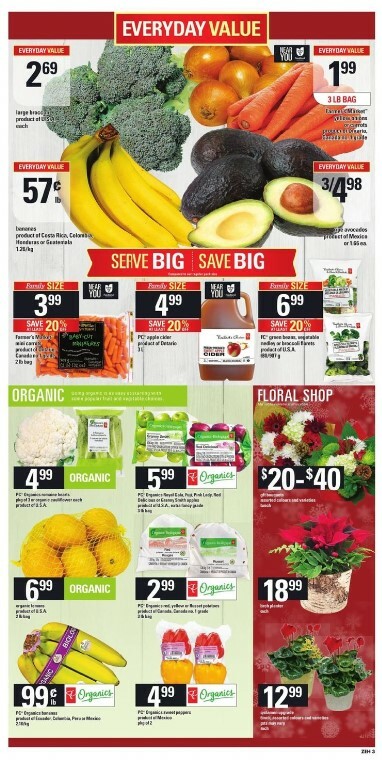 Greenhouse Beefsteak Tomatoes Or English Cucumbers $1.49 lb Sale Price Greenhouse beefsteak tomatoes, product of Canada Or Mexico, no. 1 grade $3.28 kg. English cucumbers, product of Mexico, no. 1 grade. Coca-Cola, Canada Dry, Pepsi Soft Drinks $3.33 Sale Price Selected varieties. 12 x 355 ml. 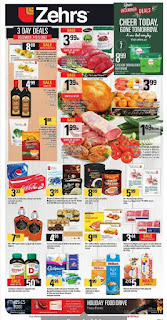 PC Pacific White Shrimp $5.99 Sale Zehrs Weekly Flyer Price Large, raw zipperback. 31-40 lb, frozen. 400 g. PC 100% Pure Maple Syrup Grade A Amber $7.99 Sale Price 500 ml. Ferrero Rocher Or Grand Rocher $4.99 Sale Price Ferrero rocher pkg of 15 16. Grand rocher 125-200 g. Selected varieties. PC Or Blue Menu Entrees Or No Name Pizza $9.99 Sale Price PC or blue menu entrees 1.81 2.27 kg. No name pizza pkg of 4. Selected varieties. Frozen. Jamieson Vitamins Or Supplements Up to 50% Savings Selected varieties and sizes.